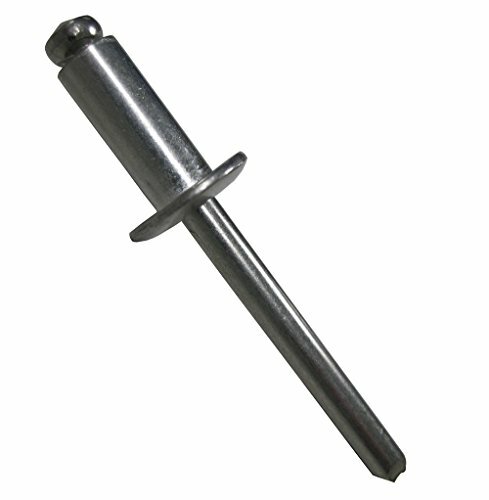 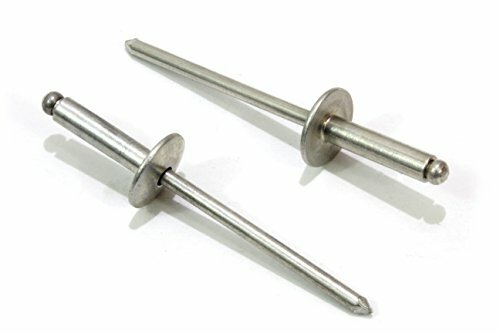 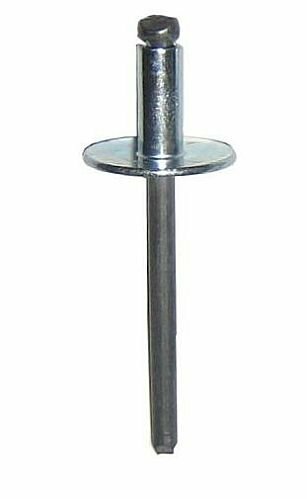 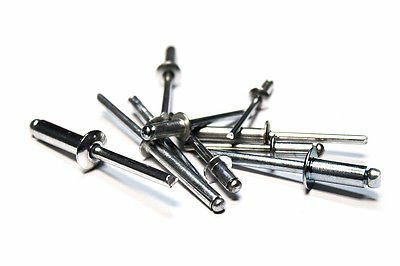 Large Flange Rivets, Aluminum, 1/8" x 3/8" Inch, Gap (.31-.37)", (4-6), (100pc), By Bolt Dropper. 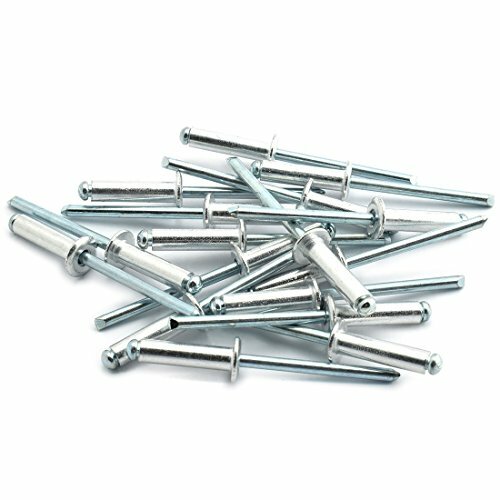 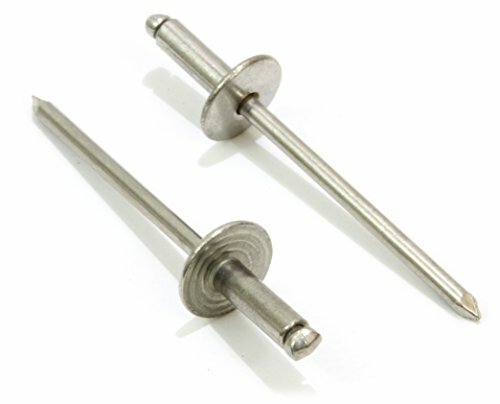 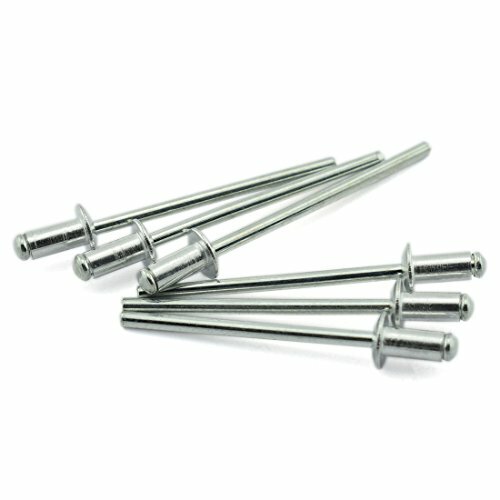 Large Flange Rivets, Stainless Steel, 1/8" x 1/4" Inch, (4-4) (100pc), Gap (0.188 - 0.250)", By Bolt Dropper. 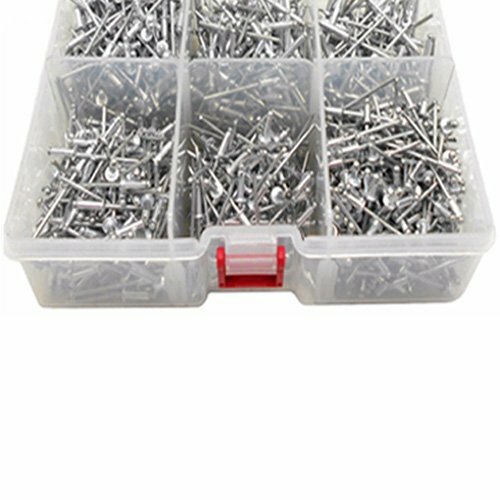 1000pc 1/8" Aluminum Blind Pop Rivet Assortment 4 Hand/Air Riveter Gun Rivet Set Sizes:✔ 250 Pc - 1/8" x 1/4" ✔ 250 Pc - 1/8" x 5/16" ✔ 250 Pc - 1/8" x 3/8" ✔ 250 Pc - 1/8" x 5/8"
Rivets-stainless steel and aluminium, features types available and how to measure.